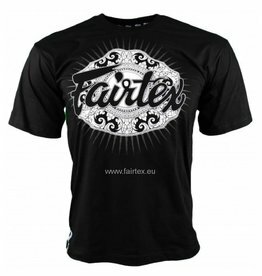 Train in style with these original Fairtex design T-shirts. Made from 100% cotton. Fairtex TS37 black T-shirt with Champion design. Train in style with this original Fairtex T-shirt. Fairtex TST51 white Fairtex Fight Team T-shirt. 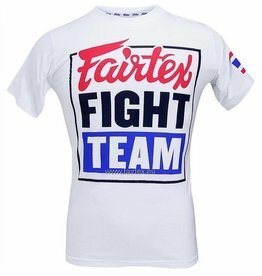 Train in style with this original Fairtex T-shirt.